The week (26 - 30 November) is part of a unique pairing scheme run by the Royal Society – the UK’s national academy of science, with support from the Government Science & Engineering (GSE) profession. During his visit, Luke will shadow local MP for Oxford East, Anneliese Dodds, whilst Deborah will shadow Tony Whitney, senior policy advisor for Public Engagement with Science for the Department of Business, Innovation and Strategy. As well as attending seminars and panel discussions about how evidence is used in policy making, the two researchers will also attend a mock Select Committee. The visit will provide the Oxford academics with a behind the scenes insight into how policy is formed and how their research can be used to make evidence-based decisions. It will also give the politicians the opportunity to investigate the science behind their decisions and improve their access to scientific evidence. 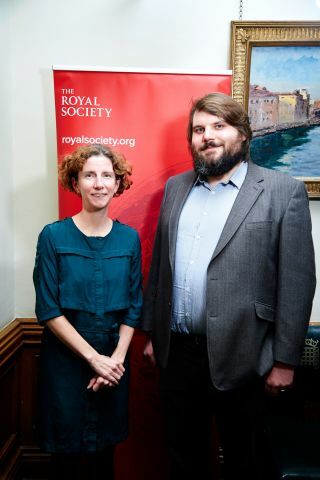 "I'm very grateful to the Royal Society for pairing me with a scientist, for a second year. It has been really interesting to spend time with Dr Jostins-Dean, in order both for him to find out more about how parliament works but also for me to find out more about his life as a scientist! It is very important that we build more links between science and politics, and I think the Royal Society scheme is an excellent way of doing that. I am looking forward to getting some hands-on experience of Dr Jostins-Dean's work when I do the reciprocal visit with him back in Oxford. ", added Anneliese Dodds.